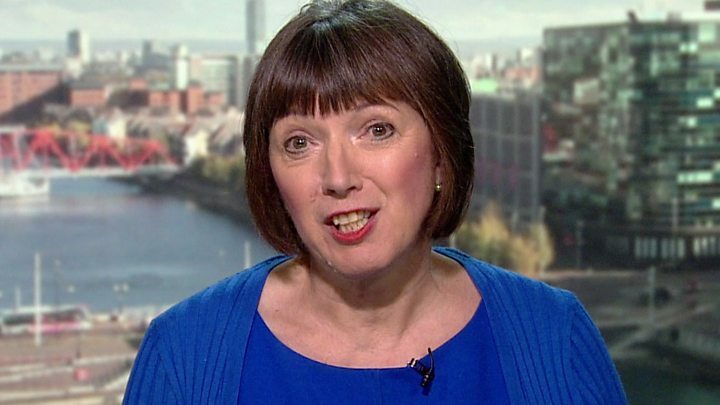 In the glare of publicity, the TUC's Frances O'Grady announced that the unions would - under certain circumstances - back a referendum on a final Brexit deal. That's the broadly agreed view amongst the 49 member unions - but not the unanimous view. The leadership of the rail union, the RMT, oppose a new vote. On the other side, there is a vanguard pushing for a referendum on the final Brussels deal no matter what. This includes the GMB and the smaller Community and TSSA unions. So away from public view the shadow Brexit secretary Sir Keir Starmer spent his Sunday in what are, these days, smoke-free rooms sounding out what the big unions will do in two weeks' time at Labour's conference. His mission is to try to find consensus and avoid conflict before all eyes turn to the Conservative conference a week later. So he wanted to find out if the largest union backing a 'people's vote' - the GMB - would press for Labour to adopt the same policy. I understand he was told they will. Currently the Labour leadership insist they would prefer to call for an election if Parliament either rejects Theresa May's final deal, or if she returns from Brussels empty-handed. A referendum, though, wouldn't be off the table as an option. Not just some unions, but many rank-and-file Labour members want their leadership to go further. So I'm told Sir Keir is trying to find "a form of words" to paper over any underlying differences before the party gathers in Liverpool. And Frances O'Grady's language at the TUC conference could provide the blueprint. In words and phrases that could only really be written by a committee, the TUC - including the big Labour supporting unions Unison and Unite - will formally agree a motion on the conference floor today backing "the possibility of a campaign for people to have a final say on the final Brexit deal through a popular vote". But more robustly, the TUC's general secretary adds that if this were to happen, then unions' "full weight" would be behind that campaign. And it is felt that if the Labour leadership could sound more enthusiastic about the prospect - rather than appearing to be being dragged reluctantly towards it - that might just be enough to keep the Remainers in Labour's ranks from publicly revolting. Unite's Len McCluskey - whose position is close to Jeremy Corbyn's - is stressing a new vote should be left "on the table". For Kremlinologists, that's more positive than the previous formulation of "not taking it off the table". But one thing is clear - the Labour leadership won't agree to back a new vote in all circumstances. If their language does become more positive, caveats will remain - and any support for a new referendum would only be triggered if Parliament can't agree a deal with Brussels.